This year the annual MSME (Micro, Small-Medium Enterprises) Day was celebrated on 27 June and was dedicated to youth. This year the main event focused on youth entrepreneurship and youth employment, and aimed to advocate for the importance of MSMEs in youth employment, raise awareness around the skills needed by youth to acquire decent jobs and finally raise awareness around youth entrepreneurship. The MSME Day may have passed but the campaign is still going and the need to advocate for youth employment and youth entrepreneurship continues. But why the particular focus on youth for 2018? This year the MSME Day campaign communicated about the difficulties that youth face in securing steady jobs and the hurdles faced when entering the workforce. This in itself is a large contributor to the rate of youth unemployment, which currently stands at 15.6% in the EU according to Statista. 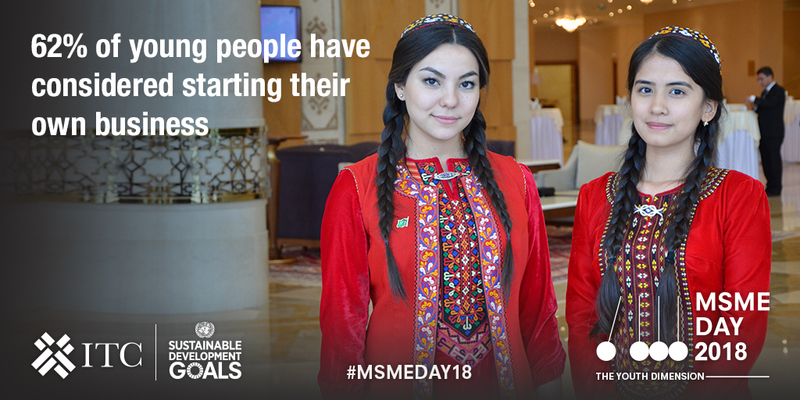 In addition to the challenges, MSME DAY 2018 highlights the reasons why a focus on youth would be ultimately beneficial for industry including the fact that young entrepreneurs are more active in high-growth sectors and are more likely to hire other young employees and pay higher wages than ‘older’ firms. Youth-led enterprises can also trigger youth-led job creation, with start-ups accounting for up to 50% of new jobs, and finally young people show higher levels of entrepreneurial initiative than adults do. Visit the MSME Day 2018 website to find out more and support this campaign to support youth in industry. Find out more about the competition and how to enter here on the News Portal.